Alcohol produces both stimulant and sedating effects in humans. These two seemingly opposite effects are central to the understanding of much of the literature on alcohol use and misuse. In this chapter we review studies that describe and attempt to measure various aspects of alcohol’s subjective, autonomic, motor, cognitive and behavioral effects from the perspective of stimulation and sedation. Although subjective sedative and stimulatory effects can be measured, it is not entirely clear if all motor, cognitive and behavioral effects can be unambiguously assigned to either one or the other category. Increased heart rate and aggression seem strongly associated with stimulation, but motor slowing and cognitive impairment can also show a similar time course to stimulation, making their relation to sedation problematic. 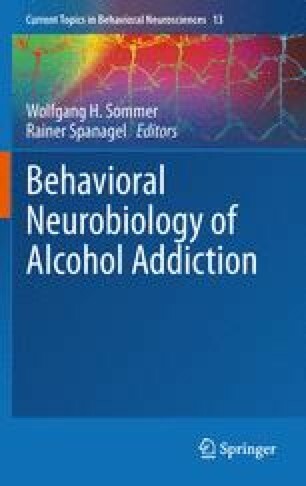 There is good agreement that alcohol’s ability to induce striatal dopamine release is the mechanism underlying alcohol’s stimulatory effects; however, the change in brain function underlying sedation is less well understood. In general, stimulatory effects are thought to be more rewarding than sedative effects, but this may not be true for anxiolytic effects which seem more closely related to sedation than stimulation. The two major theories of how response to alcohol predicts risk for alcoholism both postulate that individuals at high risk for alcohol use disorders have a reduced sedative response to alcohol compared to individuals not at high risk. In addition one theory proposes that alcoholism risk is also associated with a larger stimulatory response to alcohol.